There is no doubt that the Eotech and Aimpoint magnifiers are great, but their prices are eye-watering. You can buy an AR for the price of either of these 3x magnifiers. The good news is there is a unit almost as good for a quarter or less what one of the expensive units will cost you. 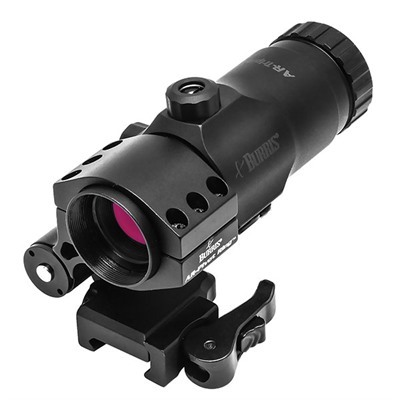 You really are not sacrificing a lot in quality by going for the Vortex VMX3T magnifier or Burris AR-Tripler Gen 2 magnifier. Both give you a great, non- flip to side mount that locks into the Picatinny mount with a single bar. Burris, however, give you quick-detach. The flips on both models are not spring loaded which can be an advantage or disadvantage depending on your point of view. 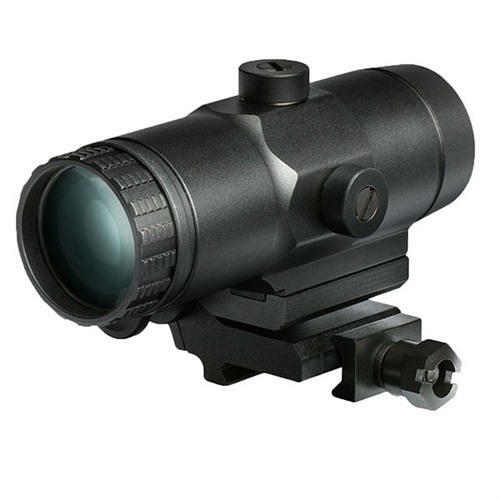 The Vortex magnifier flips to the left which annoys some right handed users but is ideal for southpaws. You can reverse the Vortex mount, but the release is then a lot less handy to access for a right-hander. Some users claim the Burris has clearer glass and the Burris magnifier has the advantage that it comes with a very good quick detach mount and flips to the right. The Gen 2 Burris mount is rock-solid, unlike some of its Gen 1 predecessors. 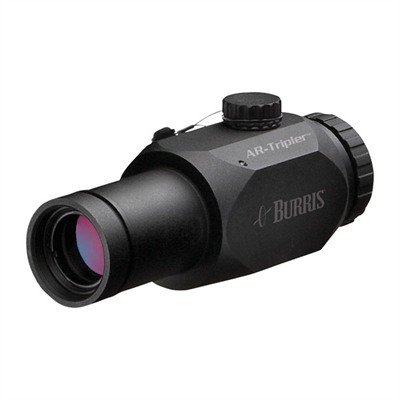 Like the Burris unit the Vortex magnifier has two controls to center the dot in the magnifier and a rear focus to get everything clear. The Vortex mount comes set up for absolute co-witness on the AR platform and has a spacer for lower third co-witness whereas the Burris is lower 1:3 co-witness only (1.65” height). The two magnifiers come in at 11.8 ounces (Vortex) and 11.9 ounces (Burris), so there is nothing in it weight-wise. Eye relief is 2.2” for the Vortex and 2.5” for the Burris. Field of view is 38.2 feet at 100 yards for the Vortex and 40 feet for the Burris, so nothing in it there. The Vortex is 4.3 inches long and Burris 4 inches. Both magnifiers are waterproof, but not to any extreme depth. Unless you scuba dive with your carbine, you won’t have a problem with either the Burris or Vortex magnifier. This entry was posted in Burris, Burris, Burris, Vortex, Vortex, Vortex and tagged Burris, Vortex. Bookmark the permalink.